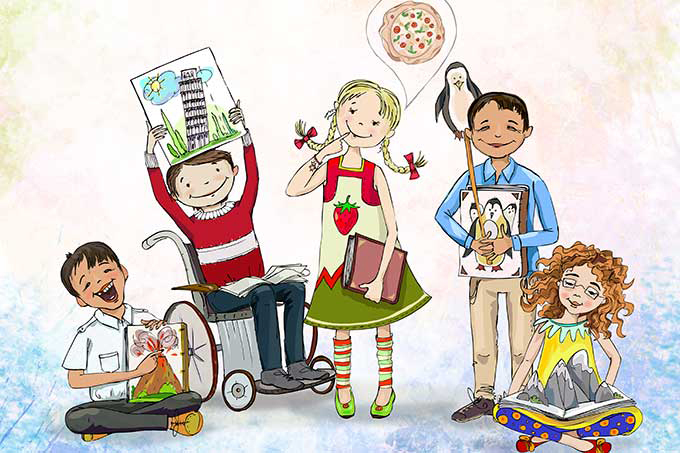 International Children Day on 20th November 2018 also coincides with the 80th Anniversary of the Kindertransport. On the evening of November 15th I attended a very inspiring evening at Quaker Centre, Friends House, Euston to commemorate the eighty year anniversary of the decision by the British government to allow approximately 10,000 (mainly Jewish) children to travel to this country and take refuge with volunteer British families who willingly opened their doors to strangers and who, out of their own pockets, donated £50 towards the expenses of this operation. That’s nearly £2400 in today’s money. Although he is able to recall many happy memories of excursions into the country, winter sledging and skiing, and playing with friends at school and in the neighbourhood, he says that he remembers the shock when none of the children wanted to play with him, and even the teachers didn’t want to teach him any longer. Tragically even worse stories of child refugees who are fleeing persecution and violence is current news Sage Passage. Lord Dubbs is trying to follow in the footsteps of the late Sir Nicholas Winton who saved over 600 children from Prague in 1938-9, as the You Tube clip of ‘That’s Life’ in 1988 shows. Happily my grandparents escaped and were reunited with my Dad, once again, thanks to the Quakers. 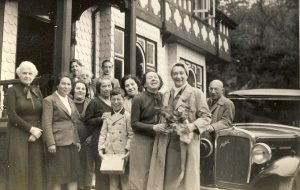 My Dad in the front row, surprised and delighted to be reunited with his parents (and a number of other Jewish refugees) who were given sanctuary by the Co-Operative Holiday Association in a mansion called Lledr Hall, located in the hamlet of Pont-y-Pant. “This was a happy time, I recall, partly being with my parents again, partly because I appreciated the beautiful setting of The Hall”.